Tis’ the season for jack-o-lanterns, skeletons, and goblins! I still remember dressing up as Cinderella in a big white princess dress and going door to door saying ‘trick-or-treat’ hoping to end up with a bucket full of goodies at the end of the night. Now, I love opening up my door to trick-or-treaters and filling their bags with delicious treats. However, treats don’t have to be sticky, gooey candy. The words “healthy” and “Halloween” don’t appear to fit together in the same sentence but can! 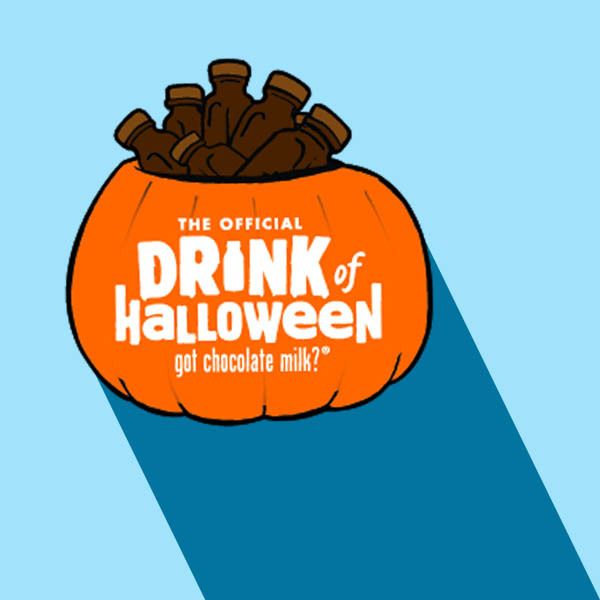 In fact, the official drink of Halloween is chocolate milk. Both nutritious and delicious, chocolate milk is nutrition in disguise with nine essential nutrients including calcium, vitamin D, and protein. Research has shown that children who drink flavored milk are more likely to meet daily calcium recommendations compared to their peers who do not drink flavored milk. No need to worry about the sugar in chocolate milk either. Flavored milk contributes less than 2% of the total added sugar to the average teen’s diet. Sodas and fruit drinks, on the other hand, account of for 50% or more, delivering much less nutrition in the process. Kids who drink flavored milk increase their nutrient intake without higher intakes of added sugars and total fat. Fuel up your kiddos for a night of trick-or-treating by providing them with a healthy and nutritious glass of chocolate milk at the family table before heading out the door. Hand out samples of chocolate milk to trick-or-treaters that come to your house. Serve chocolate milk during school Halloween celebrations. Warm-up chocolate milk for a delicious snack on Halloween night. 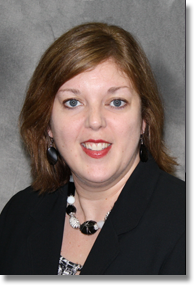 Danielle Sovinski is the Health and Wellness Coordinator for the American Dairy Association Indiana. She enjoys cooking and taking long walks with her husband and dog, Elly. Check out WinnersDrinkMilk.com or follow us on Facebook or Twitter @INDairy. With these words in mind and Valentine’s Day just a week or so away, thoughts definitely turn to chocolate. And then the sneaking glances begin because just a short five weeks ago, I made a better health commitment. I intended to exercise more. Imagine my excitement to read that dark chocolate (my favorite) could be doing me more good than harm. Of course, eating the whole bag is probably not good! As always, moderation is most appropriate. Be an example for those who sit around your table and eat just one chocolate (and then throw the wrapper* away, of course!) Children learn most of their attitudes about food from their parents. It’s human nature to love sweets, but we can teach our children to enjoy sweets in moderation. 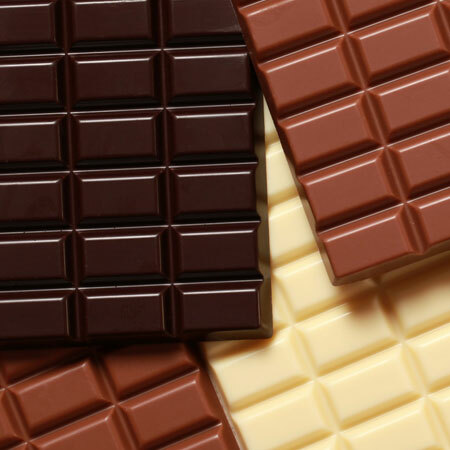 Do you have a favorite dark chocolate recipe to share? Please Pin it or Share it on our social media pages so all of our readers can benefit from your recipe box!